Spend analysis software tracks corporate spend and identifies trends that may impact spending. This type of software consolidates information on procurement spending for raw materials, accessories, or services. Spend analysis software provides companies with visibility into procurement information and enables managers to reduce unnecessary spending. This type of software is used by procurement professionals and by accounting departments. Spend analysis software should not be confused with expense management software, which focuses exclusively on employee-related work expenses. Spend analysis solutions can be delivered as a separate product or included in spend management software or supply chain analytics technology. SpendHQ is a faster, simpler way to achieve true spend visibility - for procurement leaders who know they aren't seeing the whole picture. Designed from the ground up by top sourcing experts, it bypasses months of ERP integration, strips out all the unnecessary functionality, and finally solves the problem of bad data. This SaaS tool features the industry’s most intuitive user interface and has US-based procurement specialists handling the data optimization. With SpendHQ at their fingertips, clients ranging from Fortune 500s to mid-market companies are finally able to see their spend clearly and drive savings confidently. 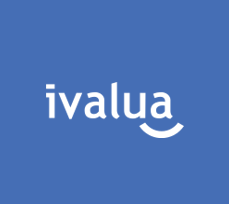 THE PROCUREMENT EMPOWERMENT PLATFORM Ivalua’s Platform is uniquely designed for agility, performance, and scale. Built on a single code base and data model leveraging a configurable cloud infrastructure it fundamentally alters what Procurement & Supply Chain leaders can achieve. Unmatched flexibility -Best-in-class is not one-size-fits-all. -Easy configuration is a core principle of the Ivalua platform. -Meet your users’ needs, from custom UI and workflows to new forms and fields. -Collaborate with suppliers and other stakeholders by tailoring processes to their needs. Welcome to the Configurable Cloud The Ivalua Platform is built on a configurable cloud. An industry leading cloud environment that allows you to scale up or down and be assured of the highest security and performance standards, no matter where or what device. Spend analysis delivers the spend visibility you need to make better, faster, and more confident buying decisions – and negotiate with more clout. SMART by GEP is the industry's leading cloud-native, unified source-to-pay platform with comprehensive spend, sourcing and procurement functionality, including spend analysis, sourcing, contract management, supplier management, and procure-to-pay. SMART by GEP is a thoughtfully conceived, beautifully designed digital work environment, precision-engineered for sourcing and procurement professionals, bringing consumer-grade usability and experience to the business-to-business workspace. With intuitive design, stunning visual appeal, intelligent interfaces, and ability to move the user fluidly and naturally from task to task, on any platform and any device, SMART by GEP drives adoption rates that are among the highest in the industry. It eliminates routine and redundant processes, accelerates or shortens complex tasks, intelligently provides tools and resources to people to achieve more, get better results and succeed in their work. SMART by GEP leverages the power and scalability of the cloud to offer a single, digital workspace for all stakeholders that enables and accelerates digital procurement transformation. Designed as an open platform, SMART by GEP allows enterprise procurement teams to harness the potential of new and emerging technologies, such as artificial intelligence, big data, blockchain, and IoT, to achieve truly transformative business outcomes. Quickly access, organize and analyze spend data with true end-to-end analytics. Conciliator ™ PAY is always at your side: it automatically analyzes your DSN Phase 3 and your payrolls and recommends corrections or optimizations based on Net Entreprise, URSSAF and legal recommendations. With Coupa Spend Analysis, you get a single lens for all your spend. Use AI-powered insights to benchmark performance and get suggestions on how to get to the next level. Group O spend experts that are dedicated to providing in-depth spend analysis that delivers procurement insight and visibility into your spend to drive efficiency and cost-savings. 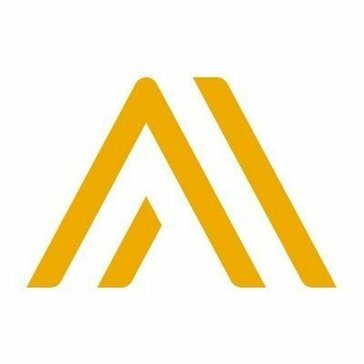 InstaSupply is spend control as a service designed to avoid fraud, control spend and deliver valuable business intelligence through AI technology. The ProcurePort Spend Analysis Software is a cloud hosted solution that allows you to conduct various scenario analysis on all your organizational spend. Access all spend data via easy-to-use dashboards, pre-built-reports as well as custom reports. 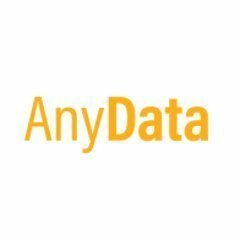 Analyze your data based on spend type, supplier type, supplier density, location, spend amount range, category, sub-category, and other scenarios; all with the click of a button and at your fingertips. Sievo Spend Analysis turns any heterogeneous source data into tangible opportunities and more business value. cloudBuy’s SpendInsight service provides regular analysis of your organisation’s historical spend data. This will be consolidated from your various procurement and ERP system sources as the first step in the process. SpendView is a comprehensive Spend Analytics solution that consolidates, cleanses, and classifies all spend-related data in one place, giving organizations full visibility across all of their spend. With SpendView, take control of your spend, make better purchasing decisions, and identify savings opportunities that directly impact the bottom line. Zycus is a leading global provider of procurement solution suites across the Source-to-Pay cycle. Our product portfolio includes applications for strategic and operational procurement functions, such as eProcurement, eInvoicing, Spend Analysis, eSourcing, Contract Management, Supplier Management, Financial Savings Management, Project Management, and Request Management. Zycus' Spend Analysis solution offers the most comprehensive, detailed, accurate and consistent spend visibility into your organization-wide spend. Hi there! Can I help you find the best Spend Analysis solutions?